Jesse Eisenberg Best Movies and TV Shows. Find it out! Acting is a hard job and especially hard is to play the real person. 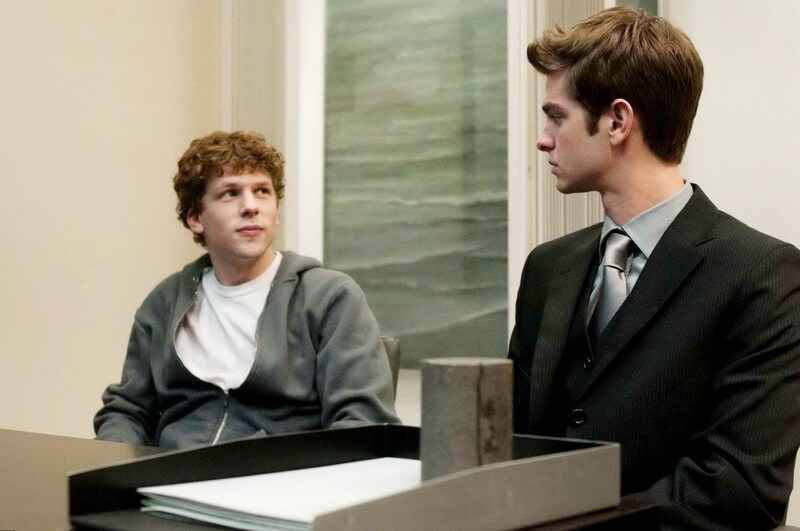 Jesse Eisenberg won the role of the genius Mark Zuckerberg and was very convincing playing the entrepreneur. After that he appeared in many other movies, which soon became real box office hits. Oscar nominee Jesse Eisenberg is a great actor, whose talent has no borders. Jesse Eisenberg age is 32. He has more than 80 credits in Jesse Eisenberg filmography. 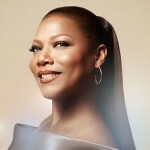 He is also known as a stage actor and a playwright. Jesse Adam Eisenberg was born in 1983 on the 5th of October. His birthplace is Queens, NY. He grew up in a family of teachers and had two sisters. One of them makes her fortune as an actress now. His father, Barry, was a social professor. His mother worked as an entertainer at children’s holidays. It was his mother, who introduced the boy to acting. Soon he got his first role. At the age of 7 the boy acted as Oliver Twist in the play with the same name. At the age of 13 he was an understudy in the shows at Broadway Theater. 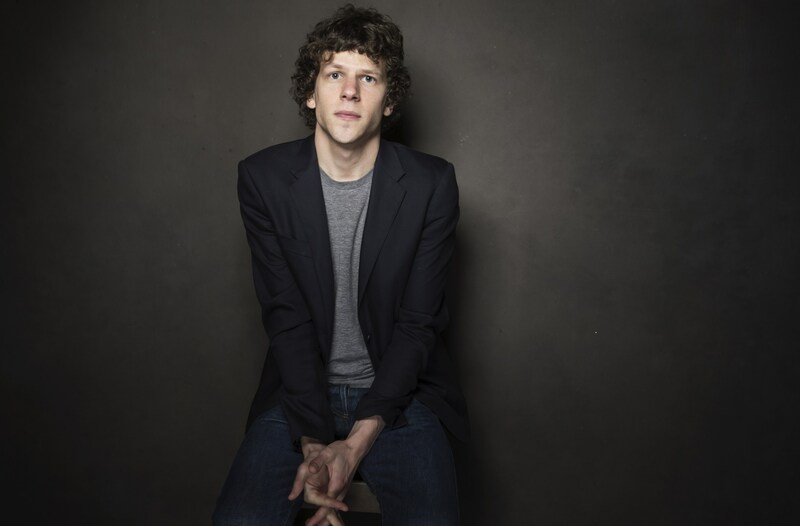 Jesse Eisenberg decided to study acting professionally. The teenager entered High School of Performing Arts in New York. During his years at the Drama School he got small roles in TV shows and movies. His first television show was “Get Real”, where his hero was Kenny Green. 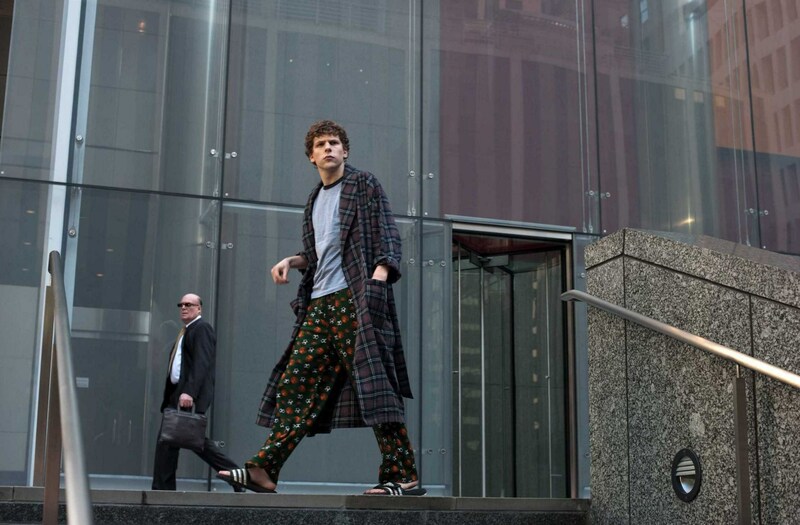 Jesse Eisenberg films are extremely variable. He is a talented actor with no special acting line or character. His heroes are very different and he is skilful enough to depict each of them naturally. Here are some of Jesse Eisenberg movies. The movie of David Fincher got contradictory reviews. Mark Zuckerberg himself criticized the film in his interviews, telling that in real life creating FaceBook was not “as glamorous as it was shown in the movie”. The founder of FaceBook even told that some moments in the movie “were hurtful for him”. At the same time Mark himself liked the play of Jesse Eisenberg, who portrayed him rather well. 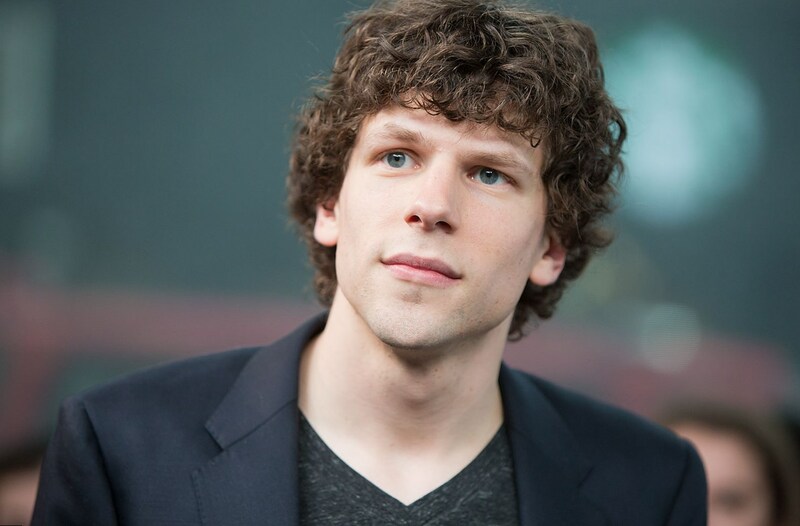 It is interesting to know that in real Life Jesse Eisenberg is the opposite of Mark Zuckerberg. He is open-minded and curious, while Mark Zuckerberg is an introvert. For his talented play in “The Social Network” an actor got Oscar nomination. In the comedy of Michael Urie Jesse Eisenberg’s hero had the same name. The film is about the glamorous star, who felt that her popularity was decreasing. She invented an unusual plan to get it back. The role of an arrogant street magician J. Daniel Atlas was played successfully by the actor. The movie with the great cast, which included Mark Ruffalo, Isla Fisher, Dave Franco and Morgan Freeman, got positive reviews from critics and the audience all over the world. That’s why the story about talented magicians was continued. Jesse Eisenberg new movie is “Now You See Me 2”, where he will play his J. Daniel Atlas one more time. The film is based on the story of Fyodor Dostoyevsky. Jesse Eisenberg got a complicated task. He had to play two heroes of the same appearance but with various characters. He was shy and awkward, playing Simon and smart and vivid, playing James. One more time Jesse proved, he is extremely talented. 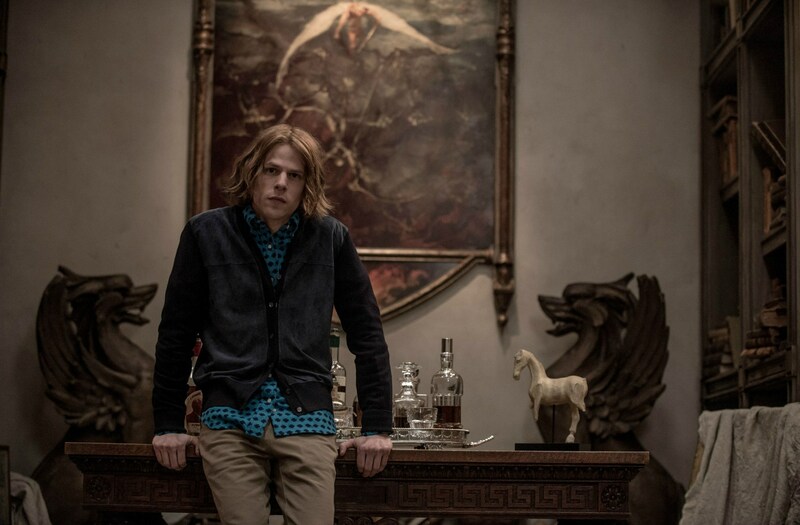 It was a shocking news that intellectual actor Jesse Eisenberg will play the role of Lex Luthor. He seemed to be absolutely different from his character. But the talent of the star will help him to depict the hero naturally. The result of his job will be seen in 2016 on the big screen. It is interesting to know, that Jesse Eisenberg is known not just as an actor, but also as a playwright. 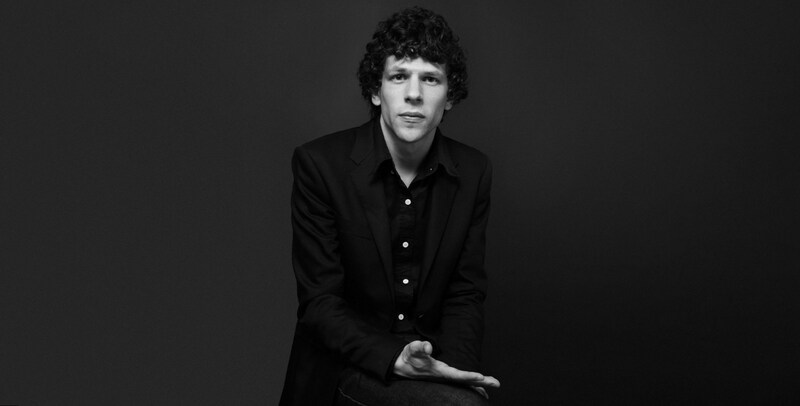 Jesse Eisenberg writer debuted at the age of 13, when he invented various anecdotes and funny stories. Now his plays are performed in the stages of various theaters in NY. 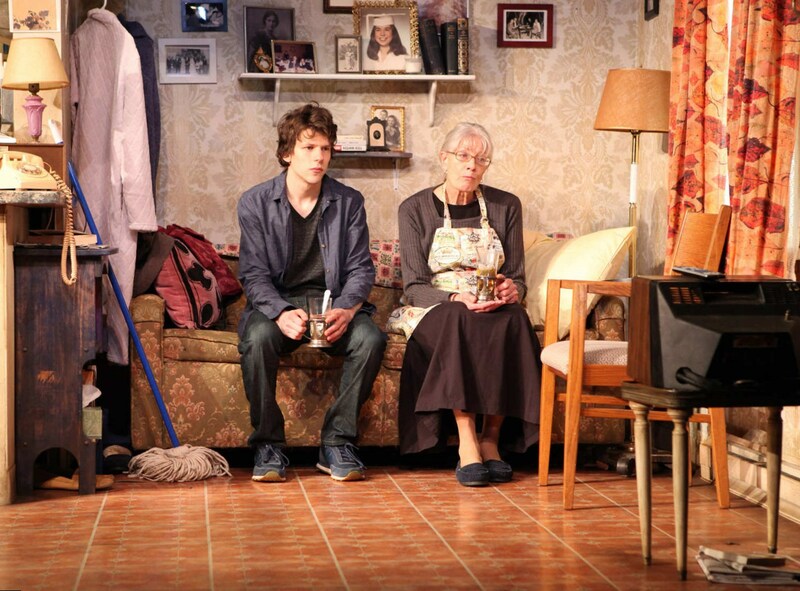 Jesse Eisenberg play “The Revisionist” became off-Broadway hit. 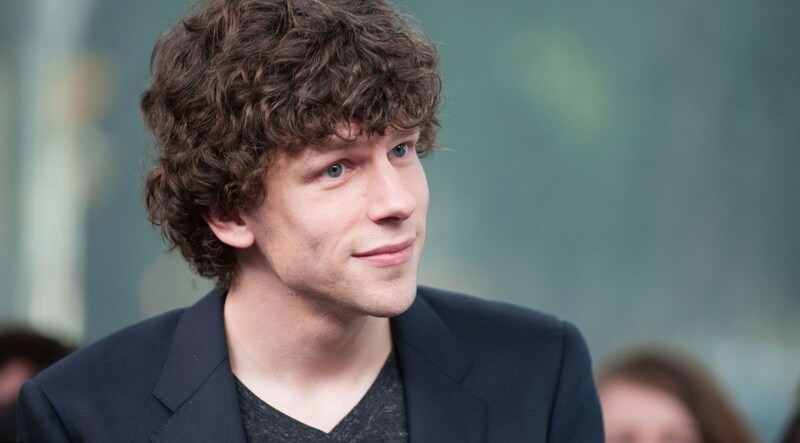 Jesse Eisenberg dating list is not extremely long. From 2001 to 2013 he dated the actress and art educator Anna Strout. They lived together in New York apartment. During his work in the film “The Double” he met the young actress Mia Wasikowska. They fell in love and started dating. Now they are still together and seem very happy. Jesse Eisenberg girlfriend Mia seems to love him deeply. Jesse Eisenberg is a busy actor with a tough timetable. He likes his work desperately and is busy with his films from morning till night. At the same time he never reads reviews to his movies. He also doesn’t discuss his screen or stage work with his parents or friends. Jesse Eisenberg remains one of the most talented actors of his age group.